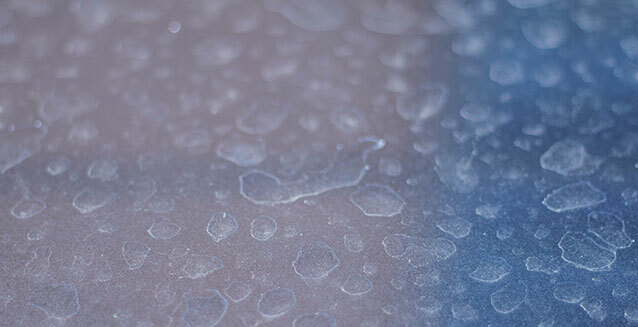 Some natural and man-made damage to automotive finishes can’t be corrected overnight, let alone with single - or even multiple - trips through conveyor car washes such as ours. Still, the remedies suggested here can often help ...and many of them are preventative in nature. CAUSE: Parking under trees during summertime, when sap emissions increase with rising temperatures. EFFECT: Sap and other emissions may drop as globs, or as a thin blanket over the entire vehicle, adhering and hardening on the finish. CORRECTION: Thin layers of sap easily wash off before drying. Removing globs of sap requires solvents, which also remove wax and protectants, so be careful, and bear in mind that fingernails or sharp objects will scratch paint. Once sap dries, permanent damage results. See owner’s manual for manufacturer recommendations or contact Kaady Car Wash Customer Service. 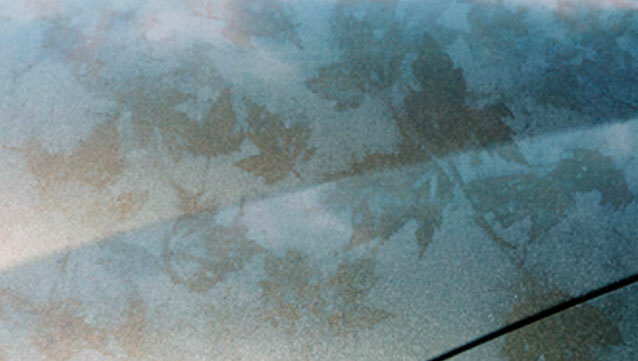 CAUSE: Tree leaves sitting on vehicle surface. EFFECT: Dead leaves discharge tannin. 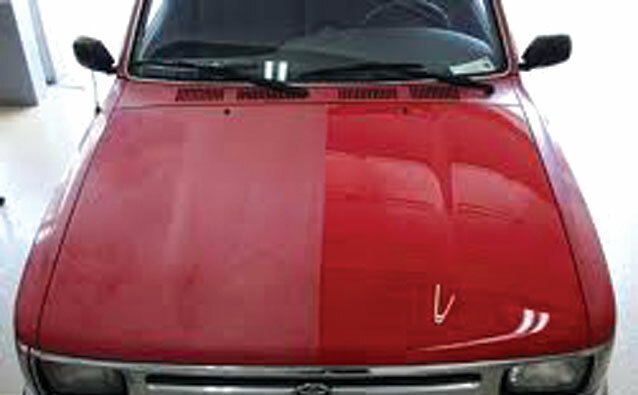 Tannin is a type of acidic dye and will stain vehicle paint. CORRECTION: Remove leaves and try to wash vehicle as soon as possible. Don’t allow leaves to dry on the paint. If stains are already present, removing them will require the use of special cleaners. Consult your owner’s manual for manufacturer recommendations or contact Kaady Car Wash Customer Service. 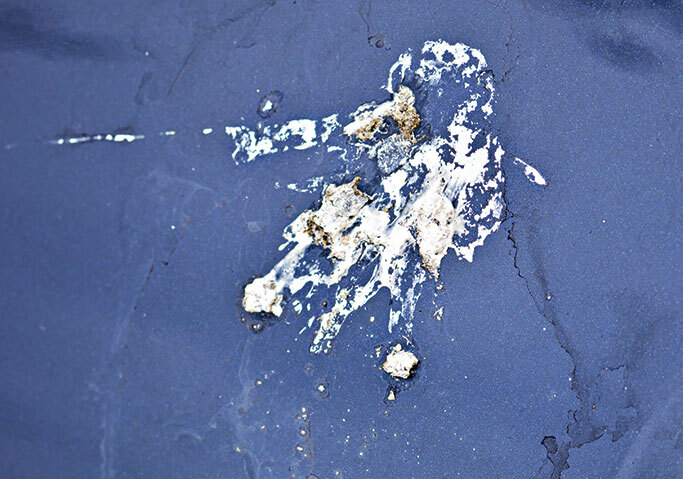 CAUSE: Bird droppings contain acid, berries, and grit from the bird’s diet. EFFECT: Acids penetrate and etch. 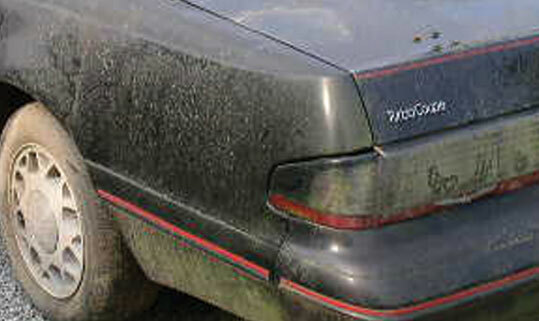 Grit can cause scratching when being removed. Berries stain, causing permanent damage to painted surfaces. CORRECTION: Timing is critical; remove immediately. Do not rub off. Soften droppings with a wet cloth or sponge, then carefully blot to remove. Refer to your owner’s manual for manufacturer recommendations or contact Kaady Car Wash Customer Service. 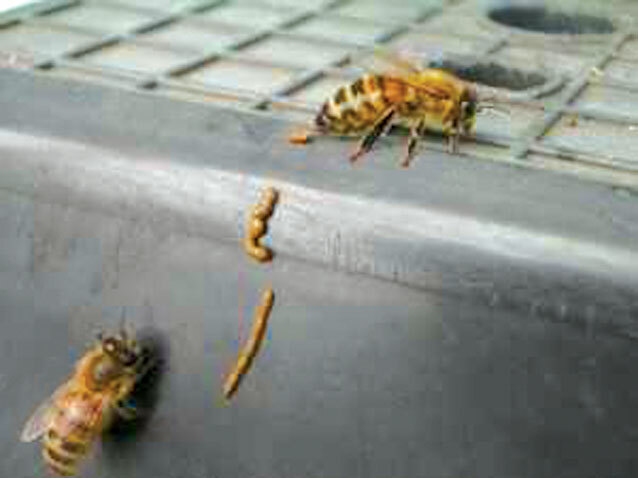 CAUSE: Bees discharge a yellow waxy substance that dries quickly. EFFECT: Bee pollen is acidic and adheres to the finish, making it difficult to remove. CORRECTION: Remove as soon as possible by soaking. Do not use household cleaners or scrape the paint surface with a fingernail or sharp object. Refer to your owner’s manual for manufacturer recommendations or contact Kaady Car Wash Customer Service. CAUSE: Flying insects collecting on painted surfaces. EFFECT: Bugs with hard shells can pit paint immediately; acids can etch into paint if not removed promptly. As temperature increases, effects are accelerated. CORRECTION: Remove as soon as possible. Refer to your owner’s manual for manufacturer recommendations or contact your Kaady Car Wash Customer Service. CAUSE: Seasonal damage to aging paint, from the sun and winter elements. EFFECT: Paint whitens and becomes dull or hazy. CORRECTION: In most cases the only satisfactory correction is repainting, although sometimes the finish can be brought back with polishing compounds; once the paint becomes oxidized, however, it turns porous, and susceptible to continued deterioration from ongoing oxidation. CAUSE: Hard water drying on paint, leaving mineral deposits. 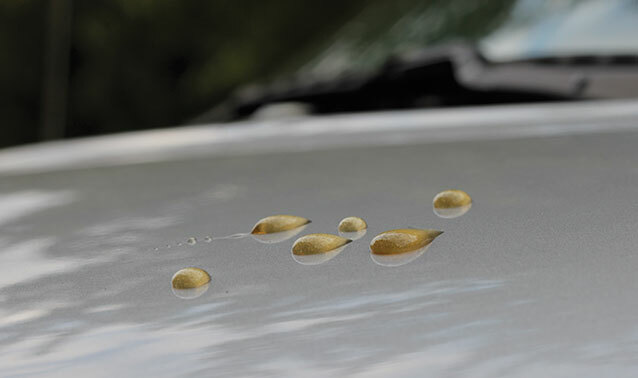 EFFECT: Mineral deposits bond to paint, leaving white spots that can’t be removed with normal washing. CORRECTION: Removal usually requires special polishes or clay bar, depending on the type of minerals in the water and how long it has stood on the paint. See owner’s manual for manufacturer recommendations or contact Kaady Car Wash Customer Service. Be alert to your surroundings when parking, keeping a distance from sprinklers or other areas where your vehicle may be sprayed with water. CAUSE: Driving on freshly paved roads. 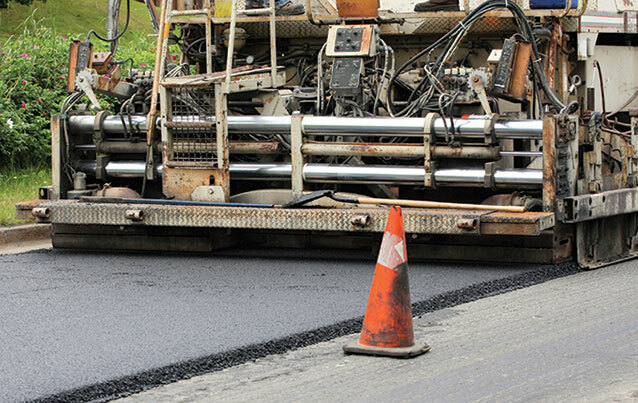 Hot days can soften asphalt, drawing oils to the surface. EFFECT: Tires sling tar and oils onto your vehicle. Once dry, they bond to the surface. CORRECTION: Remove as soon as possible, bearing in mind that solvents designed to remove tar also remove wax and protectants. Refer to your owner’s manual for manufacturer recommendations or contact your Kaady Car Wash Customer Service. CAUSE: Prolonged exposure to low light and humid conditions, such as parking under trees in wintertime. 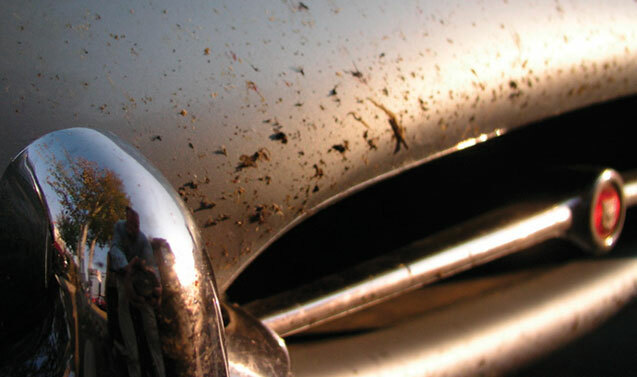 EFFECT: Mold and algae start to grow on the vehicle surface, most heavily in crevasses and corners. CORRECTION: If exposure to these conditions can’t be avoided, the best way to control their effects is to wash your vehicle at least twice a month. Consult your owner’s manual for manufacturer recommendations, or contact Kaady Car Wash Customer Service. CAUSE: Placing items like groceries, boxes, purses, briefcases, etc. on top of, or leaning against, painted surfaces. EFFECT: However careful we try to be, such items can scratch the paint. CORRECTION: Place items on the ground or in shopping carts to load/unload, not on roof, hood, trunk or against other painted surfaces. 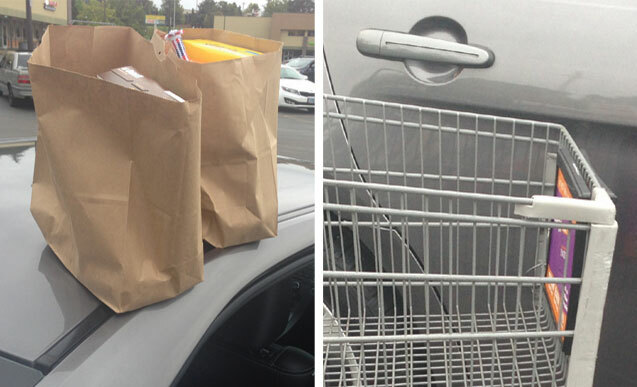 Remember: runaway carts can damage doors and fenders, so avoid parking near cart return racks. CAUSE: Brake dust bonding to the wheel surface. 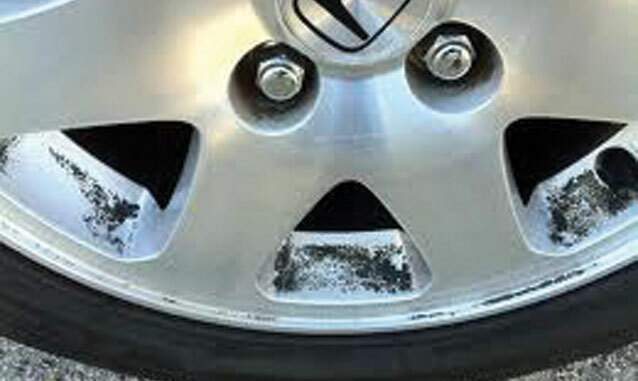 EFFECT: Extreme heat from braking in normal driving can cause brake dust to accumulate on wheels and cause pitting. CORRECTION: Frequent washing keeps brake dust from accumulating. Once pitting occurs, damage is permanent. See owner’s manual for manufacturer recommendations or contact Kaady Car Wash Customer Service. CAUSE: Commercially sold cleaners containing dangerous acids. 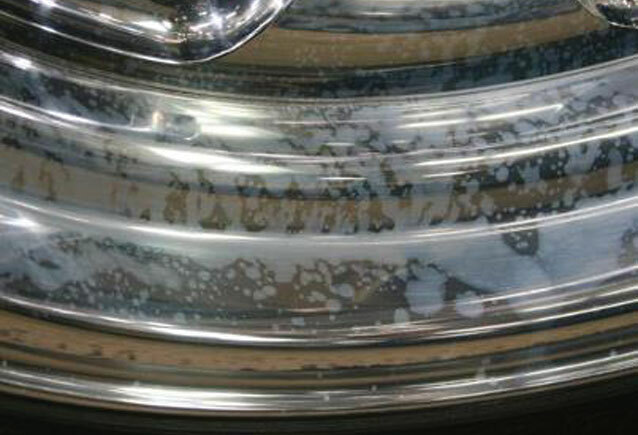 EFFECT: By stripping a molecular layer from the metal surface, these cleaners can pit the wheel’s finish. CORRECTION: Avoid using acid-based commercial wheel cleaners. Refer to owner’s manual for manufacturer recommendations or contact Kaady Car Wash Customer Service.